“We stand at a watershed moment with regard to harassment,” EEOC Commissioner Chai Feldblum said. “We can see it. We can hear it. We can feel it." The recent backlash against the #MeToo movement suggests men should fear false accusations or reactive company investigations because of the pressure from social media or news organizations, yet little evidence exists to prove a push against sexual harassment in the workforce hurts men, experts and federal regulators said Wednesday. Any unintended consequences of the movement targeting harassment may rather be at the expense of women in the workplace, who may be left out of advancement opportunities, such as socializing with bosses or mentorships, according to the panel at the U.S. Equal Employment Opportunity Commission’s public meeting. Federal regulators want to make sure the #MeToo movement is more than a moment that gives women temporary power and help tackle the structures that allowed sexual harassment to persist for years in the workplace. The EEOC, which saw sexual harassment charges spike last fiscal year, asked attorneys, academics and human resource trainers to delve into what is working and what still needs attention to prevent not just sexual harassment, but also against other protected classes. EEOC Chairwoman Victoria Lipnic said that the belief that #MeToo has gone “too far” suggests there are views that believe there is a rush to judgment, unproven accusations and a bandwagon effect. She asked the panel whether this idea could negatively affect company attempts to change the culture. Bowman said there has not been a wave of false accusations causing people to lose their jobs or haphazard investigations. The final fiscal year 2018 data showed a 13.6 percent increase in sexual harassment charges and a 50 percent increase in lawsuits filed alleging sexual harassment. The push to combat harassment started with a task force that studied harassment in the workplace in 2016. The #MeToo movement sparked by allegations by The New York Times and The New Yorker against Harvey Weinstein helped draw attention to the issues raised in the report, the commissioners said. Now, they want to leverage this attention to create institutionalized change. 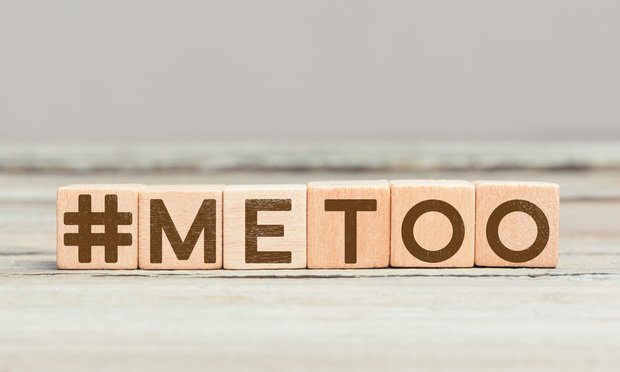 Companies responded to the #MeToo movement in force, with many investing in additional training and internal investigations into their policies. The solutions are far from set in stone, however. There are also unintended consequences. According to a survey by Working Mother and the ABA Journal released this year, most men (56 percent) are nervous about one-on-one interactions with women at work and the charges of impropriety that might result. EEOC Commissioner Charlotte Burrows also said that it’s important not to focus training and harassment prevention only on women. The reaction should encompass all protected classes, race, national origin and religion, as well. The witnesses, which included union leaders, academics and attorneys, at the meeting suggested training approaches and accountability measures to address harassment. They pointed to the importance of board input, transparency and accountability, online and other interactive training and movements driven from within the workforce. The commissioners said they want to create guidelines that will fit many types of industries. Bowman said organizations must use a multifaceted campaign that focuses on leaders setting the right tone, conducting a workplace culture assessment, and implementing different training formats that inspire employees to create a more positive setting that works for everyone.